When Brendan and I drove down to California, I had the excellent chance to see my best friend and the home she grew up in. 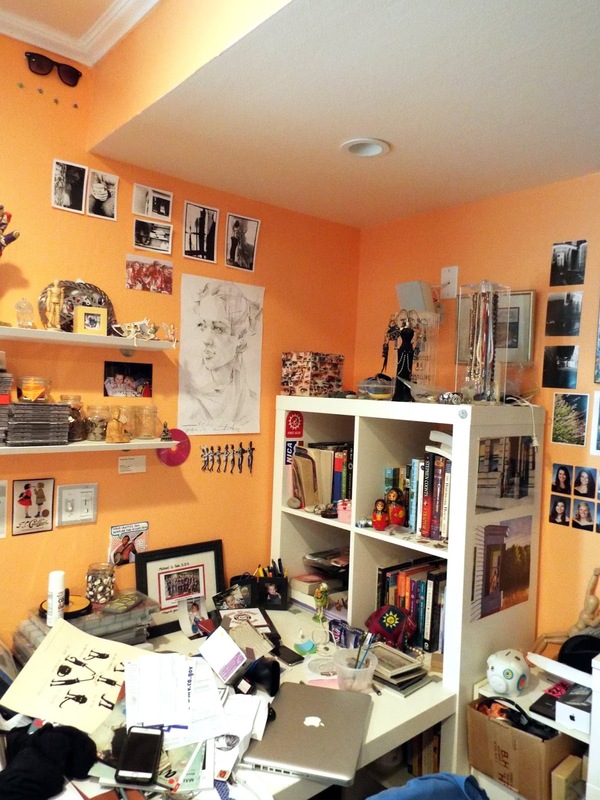 As I've mentioned, I think someone's space is an excellent representation of who they are, especially when their space has been developed throughout their life. 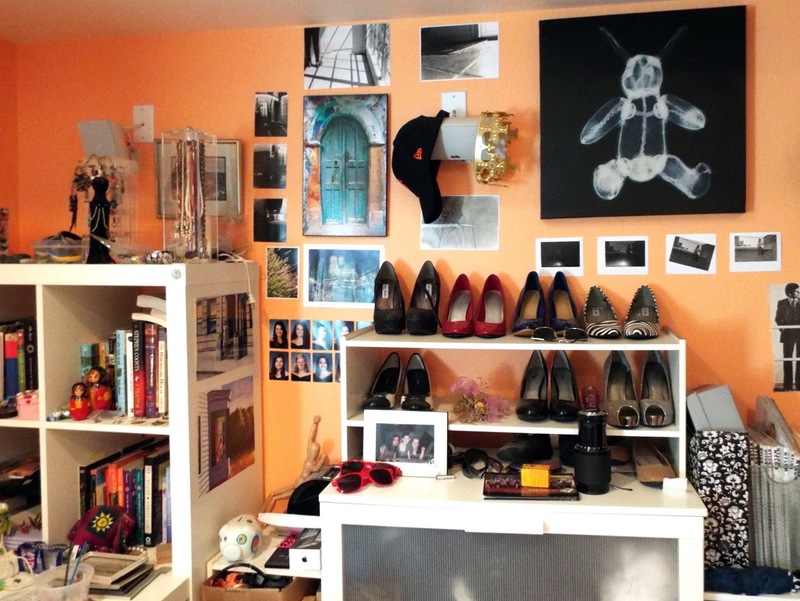 Emily's high school room is the perfect example. The first thing Em told me when I came into her house was that her mom was looking forward to repainting the entire house because it was like a giant crayon box. 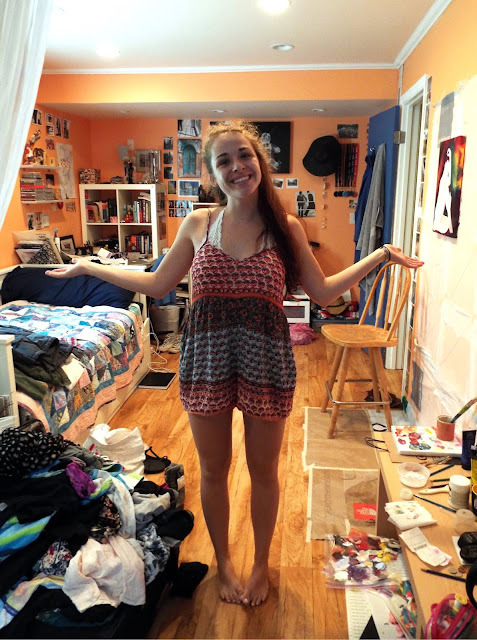 Emily's room was no different, being entirely painted sherbet orange. "I surprised myself choosing orange paint because I've always been a blue kinda girl but I went to pick out paint chips and randomly saw the color and was like 'yup, that's the one.'" Emily had decorated most of our room last year, and I was not surprised to that her room at home was adorned with the same creative flair. 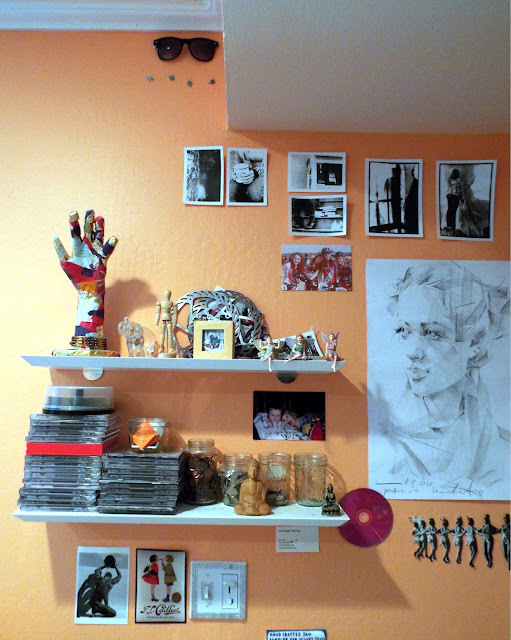 She had a story for everything I asked about: from the sunglasses near the ceiling ("they broke, but I still wanted to showcase them") to the collaged hand on her shelf (a project from art class). "Over the years I hung up a lot of my own photography... All of the black and white prints are mine, and a lot of the colored ones around the door frame, too. 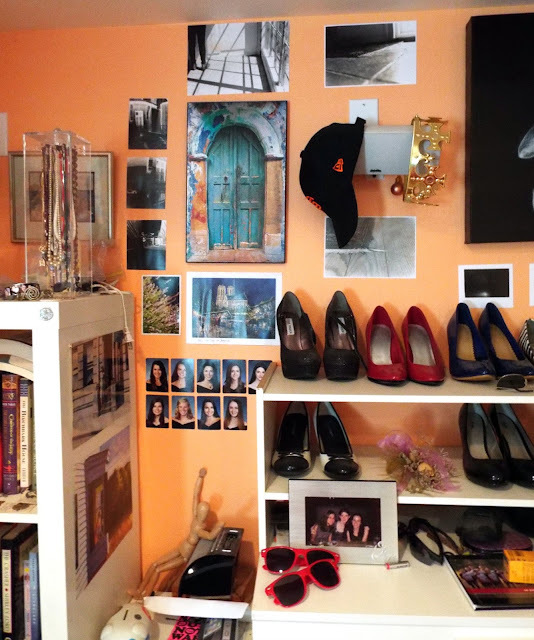 I just really wanted it to be a space that reflected me and what I was thinking creatively, so every time I found something or made something that seemed right I put it up!" "I made the painting space this summer... After taking a painting class during winter quarter I'm spoiled and feel like I need an easel, but I'm also poor so I just taped a bunch of garbage bags to the wall (to protect the paint) and hung up my canvases off of thumb tacks. 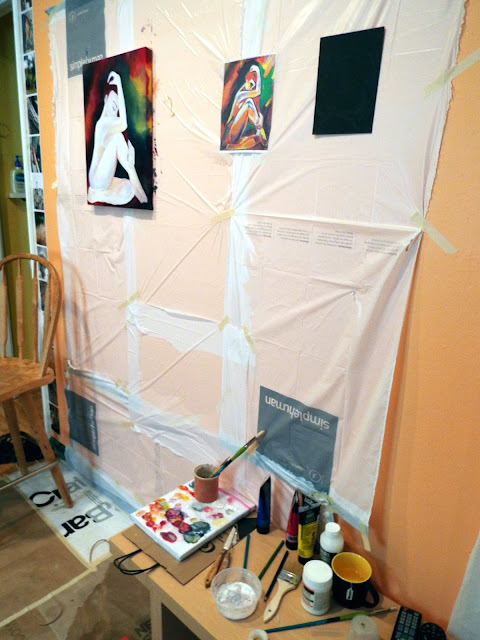 It was a godsend this summer, since I've discovered that painting is truly a way for me to relieve anxiety and unwind."